Get a leg up on a quantity deal. Wow, 20 pairs of groovy, mid-calf Dress Socks. These many socks are lightweight and sized to fit. The over-the-ankle construction is made completely of form-fitting polyester. 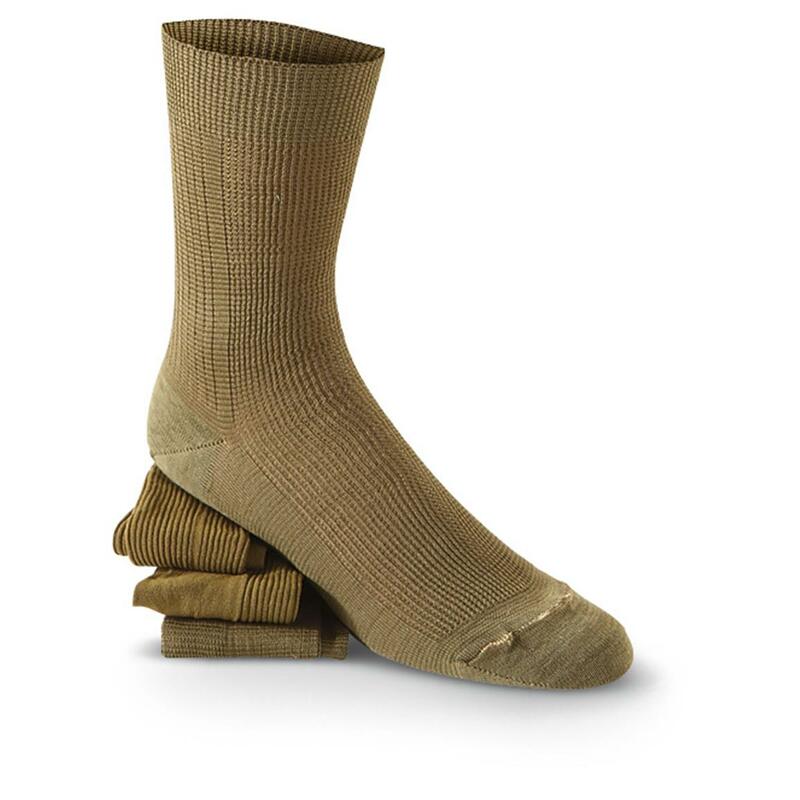 Czech Military Surplus Dress Socks, 20 Pack, New is rated 3.0 out of 5 by 2. Rated 5 out of 5 by Jason from Awesome for the price I purchased one order of 20 pairs of these socks about a year ago when SG had them in stock. I needed cheap dress socks at the time and these fit the bill. They are comfortable and they have held up reasonably well with repeated washings. They look decent, and really who is looking at your socks anyway? I would buy them again; however 20 pairs of socks is a lot of socks. I don’t think I will need anymore green socks for awhile.